The Andes Jacket is a technically featured down jacket with a box-wall construction, designed specifically for mountaineering use on 6000m peaks and light-weight polar expeditions. 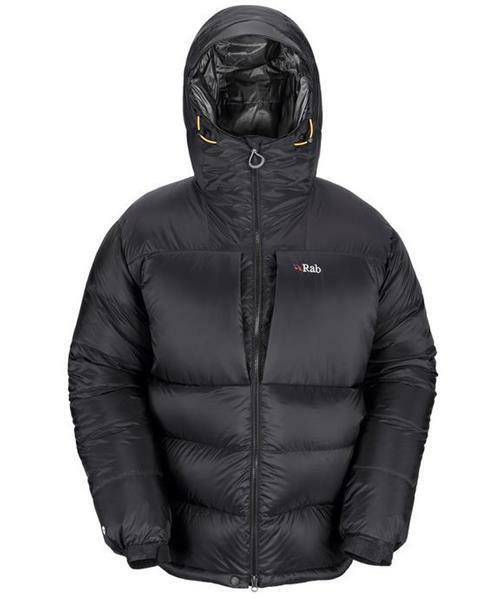 It bridges the gap between their Expedition range and their lighter-weight down jackets. Using the same combination of Pertex® Endurance and Pertex® Quantum fabrics as the Expedition Jacket, protection and warmth are guaranteed. A narrow box-wall construction with 800FP Hydrophobic Down provides extremely high levels of warmth and all the interaction points feature mitt-friendly pulls and YKK VISLON® zips to keep your essentials secure. Potential cold spots are eliminated and heat is sealed by a secure chin guard, insulated zip baffles and a down-filled helmet-compatible hood.The Andes Jacket was one of the first down insulated jackets that Rab Carrington designed almost 30 years ago and the fact that it's revised version still features in our range is testament to this jackets quality.